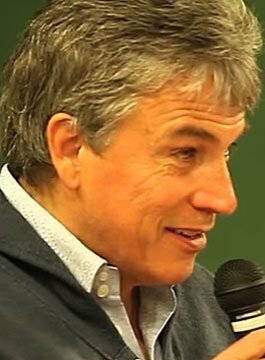 John Inverdale – Award Winning BBC Sports Presenter, Conference Host, Awards Presenter and Entertaining After-Dinner Speaker. John Inverdale was born in Plymouth in 1957 and is the Son of a Royal Navy dental surgeon. He attended Clifton College in Bristol and went on to gain a degree in history at Southampton University before embarking on a career in journalism. John Inverdale began his career as a reporter on the Lincolnshire Echo before moving to BBC Radio Lincolnshire in 1982. His first job with network radio was in 1986 as a sports reporter for BBC Radio 2 and a news reporter for Radio 4 on the Today programme. In 1988 he became presenter of Sport on 2 which he hosted for six years until the advent of Radio 5 Live when he moved to a daily news programme. During his radio career, he has presented numerous Olympic Games, Football and Rugby World Cups, Wimbledon Championships, Open Championships, plus numerous other major sporting events throughout the world including the Ryder Cup, World Athletics Championships, Grand Nationals and Cheltenham Festivals, Champions League and FA Cup Finals. In 1997 John Inverdale was named Broadcaster of the Year at the Sony Awards, and in 1998 Radio Personality of the Year by the Variety Club. His television career began with BSB in 1990 as presenter of rugby and football, and on the BBC, he presented Rugby Special from 1994 until its demise in 1997. John hosted his own BBC1 sports chat show Onside for seven series, and is a regular presenter on Grandstand and other sports programmes including Wimbledon. He has also hosted The World’s Strongest Man, which regularly attracts audiences in excess of 10 million. John Inverdale is one of Britain’s foremost sports presenters.